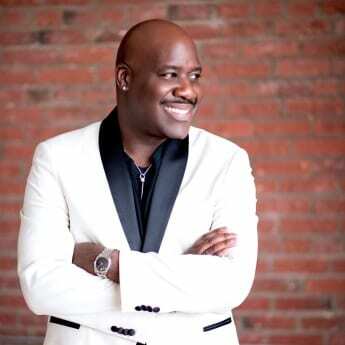 Award-winning, Grammy-nominated recording artist Will Downing will speak with 25 Golden Ring Middle School students about life in the music industry and the discipline needed for success in any field. The participating students were chosen by the school’s music department based on their interests and talents. Downing’s visit is part of his new initiative to educate and inspire middle school students in areas around the country where he is performing. Downing will visit the school on Friday, February 10, from 11 a.m. to 1:30 p.m. Downing, an R&B and jazz singer/songwriter, has released 19 albums over 28 years. In 2000, his album “All the Man You Need” was nominated for a Grammy Award as the best traditional R&B album. He has received three SoulTracks Reader’s Choice Awards and, in 2002, received the International Association of African-American Music Diamond Award. Downing is a personal friend of Kaz Wright, a reading interventionist at Golden Ring. He will be performing at The Birchmere Theater in Alexandria, Virginia, on February 11 and 12.